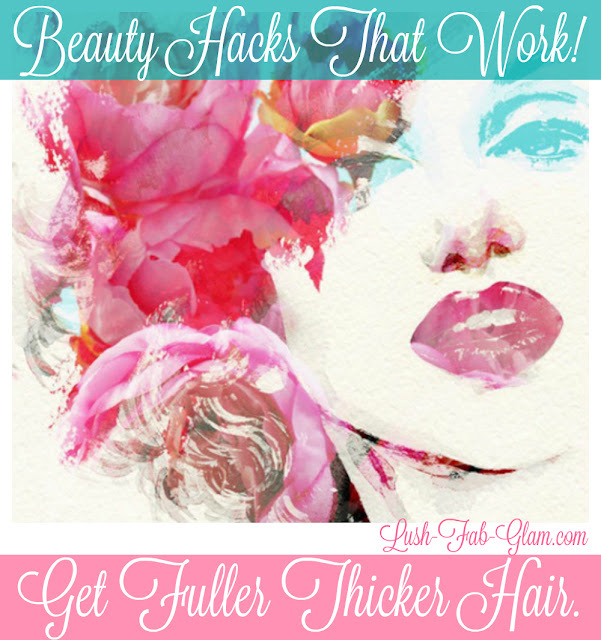 Beauty Hacks: How To Get Thicker, Fuller Hair Instantly. Every woman wants beautiful full bodied hair, especially during the summer months when we ditch our lazy top buns and ponytails for fabulous hairstyles that compliment our pretty summer dresses as we attend weddings, head out for a stylish girls night or on a romantic alfresco date at the trendiest spots in the city with our beau. Like our skin, our hair is affected by the way we style it, the products we use and how we care for it. 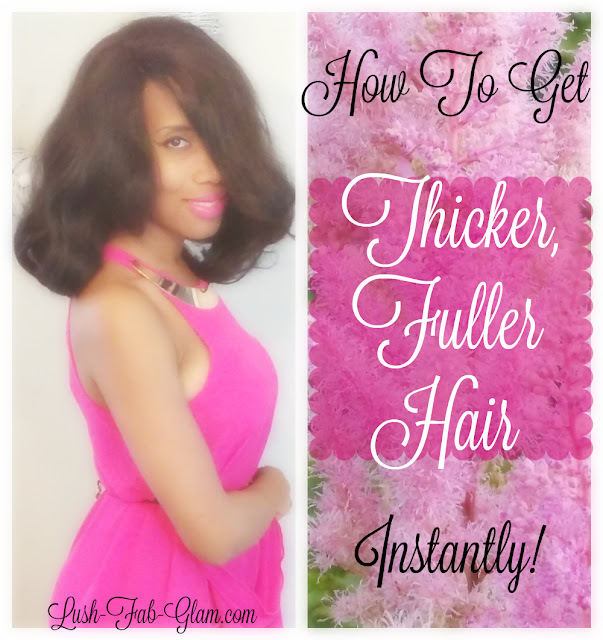 Regular things like coloring our hair, blow drying, hot curling, straightening with a hair relaxer and even natural things like, sweating, frequently wearing tight ponytails and the side-effects of pregnancy has affected the thickness and fullness of our hair over the last few years, especially at the roots. While I have naturally fine hair that thinned at the roots after child birth, many of my millennial friends are already experiencing hair thinning because of hereditary reasons or as a natural result of the aging process. Whatever the case may be for you, Toppik's Hair Building Fibers can instantly transform and thicken your hair too! 1. Toppik Hair Building Fibers blend perfectly with existing hair strands to instantly create the appearance of naturally thick, full hair. 2. Toppik Hair Building Fibers are made of colored, natural, keratin fibers – the same protein that makes up human hair. 3. It is designed to work for all hair types and textures. 4. It instantly fills in thinning areas and makes fine hair look completely thick and full. 5. It is ideal for part lines, covering extension tracks and touching up roots between hair color appointments. 6. It easily washes out with shampoo. 7. It resists wind, rain, and perspiration for long-lasting results in all weather conditions. 8. It is available in nine shades that can be mixed to match virtually any hair color. 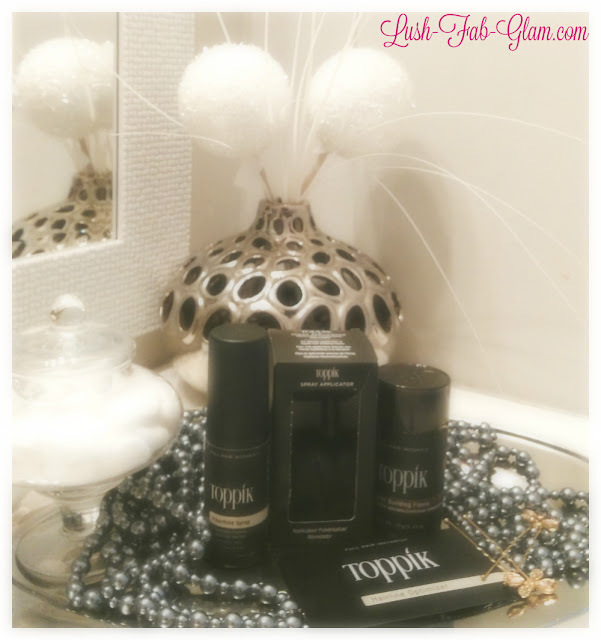 My hubby and I recently celebrated our wedding anniversary and I used Toppik to style my hair as I got ready for our dinner celebration. I washed, blow dried, straightened and then loosely curled my hair as I usually do to create a faux-bob look. Then I applied Toppik Hair Building Fibers in dark brown to the roots where I parted my hair and also at the front edges. 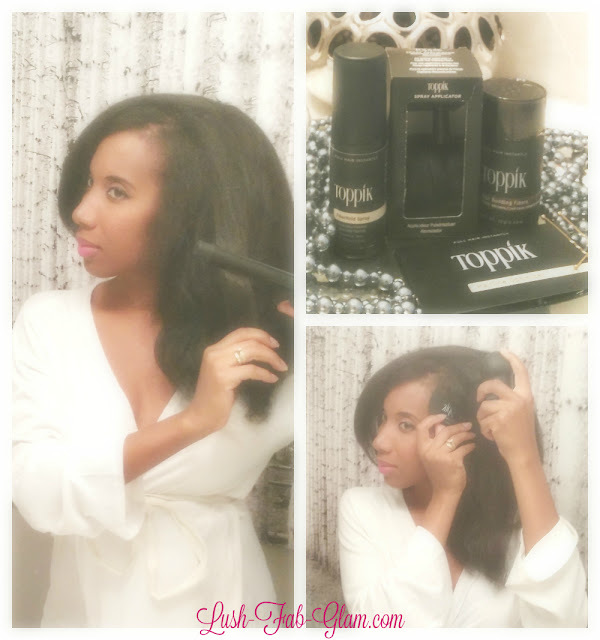 I finished my look by using the Toppik Fiber Hold Spray to strengthen the bond between the fibers and my hair. Before: Styling my hair with Toppik Hair Building Fibers. After: Rocking my full and fabulous faux bob with confidence. I loved my Toppik hair transformation and I also really like the fact it's so easy to use, wash off and most importantly the transformation really was instant! If you or someone you know has naturally fine or thin hair, is experiencing hair loss or wants fuller eyebrows Toppik Hair Building Fibers are most definitely the fuss-free solution! Click here to visit their website to learn more about how it works and to get your own instant fuller hair transformation! This Beauty Hacks post is brought to you by Toppik Hair Building Fibers. All opinions are mine. What's your hair type and what do you think of my Toppik Hair transformation? Share with us by leaving a comment below. @RoseMarie Tocci check out these tips! Thank you so much Diane! Useful tips! Your hair looks great! So sweet of you Jenna, thanks!